Hey all! It’s me again, hailing from Moscow, the gateway to the panhandle of Idaho. You know it’s that time of year again. Yep…You guest…FIRE SEASON! So, I thought that I would talk with you a little bit on the subject. Yea, I understand that you already know about wild fires, but I just wanted to go over the basics to refresh your memory as well as mine. In our area (western part of the United States) wildfires were here long before civilization set in. 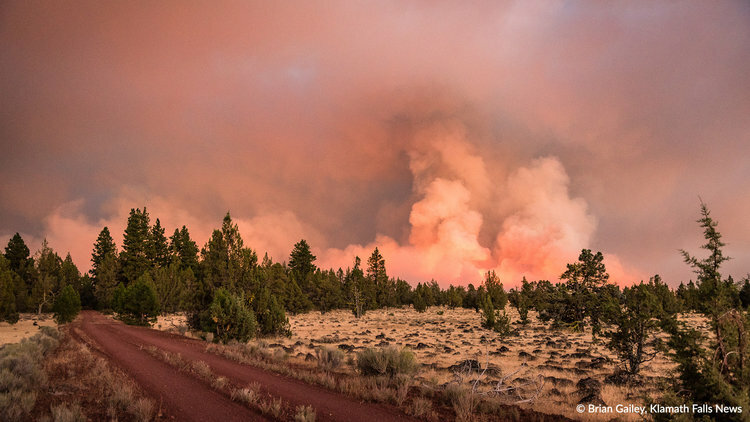 Now towns and communities have been established in the midst of prominent wilderness prone to wildfires. So, it is recommended that you learn how to live with this inevitable variable to the best of your ability. This will promote safety not only for your dwelling but your neighbors as well. What knowledge is advised to know and do? I thought you would never ask…pre-fire activities: these activities are actions taken before wildfire season begins. Here’s a breakdown. Proper vegetation management around your home, use of fire resistant building materials and firescape landscape design. Ok, that says a lot…but is still clear as mud! Proper vegetation management, or defensible space as it is known, is the area between your house and an oncoming wildfire where the vegetation has been modified to reduce the impact of the wildfire and provide an opportunity for firefighters to effectively defend your home. To give you an idea of the wide variety of fire resistant building materials there is Mineral wool, Gypsum boards, Perlite boards, Proplex sheets just to mention a few. Let’s move on to the last item, firescape landscape design. Boy…sounds complicated! Well it’s an involved process and you have to be committed to keeping it maintained after you establish the firescape. What it comprises of is three zones around your home and the six steps to achieve these zones. Now it would be darn near impossible for me to tell you the distance of each zone because I don’t know your exact terrain your dwelling is on. But I can tell you the six steps in how to achieve these three zones around your home. 1. How big is an effective defensible space? 2. Is there any dead vegetation within the defensible space area? 3. Is there a continuous dense cover of shrubs or trees present within the defensible space area? 4. Are there ladder fuels present? 5. Is there an area of at least 30 feet wide surrounding your house that is lean, clean and green. 6. Is the vegetation within the defensible space maintained on a regular basis.